Uncover the latest news scoops as a journalist in Imagine Reporter! Build your career from a local newspaper reporter all the way to hosting your very own national TV show! Develop exciting news stories, track information in the field, and take photos. Interview movie stars, athletes and more, then report breaking news stories to your audience! 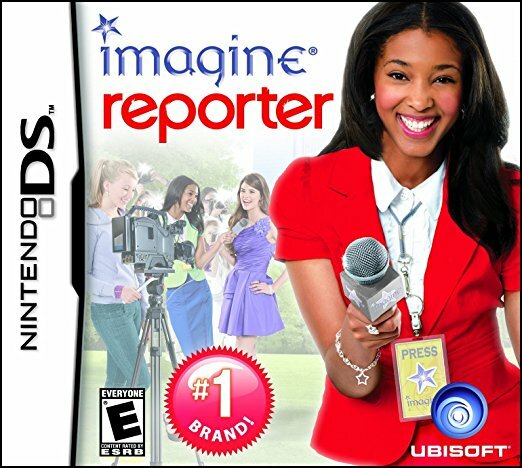 This is a simulation game in which players assume the role of an aspiring journalist as she works her way from local reporter to the host of a TV news show. Players engage in mini-games such as taking notes, filming news segments, investigating photos, and interviewing people. Use the DSi camera to capture photos of celebs as though they were right next to you!